Submersible pumps are a very neat solution for a water tank system. The pump is installed in the tank thus eliminating the need to find a suitable place to locate the pump. 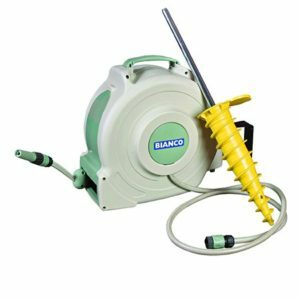 The Bianco BIA-JH8003P pump is an 8 tap water pump with a 0.8kw motor, a maximum head of 30 metres, the flow rate of up to 83 litres per minute and an inlet and discharge outlet size of 25mm or 1”. The features of a submersible pump is that there is very little noise emanating from the pump as the water in the tank absorbs most of the noise. Additionally it has a flooded inlet so all the power goes to pushing the water out of the tank. Submersible pumps are ideal for use around the house, farm sheds and other agricultural and commercial applications. There are no problems with damage related to weather as the pumps are protected inside the tank. The pump starts every time a tap is turned on, providing constant pressure throughout the system wherever it is delivered to. Additionally there is a dry run protection switch that turns off the pump automatically when the tank runs dry. There are many places the pump can be used, including the house, garden, hosing outdoor areas or for use around the property. 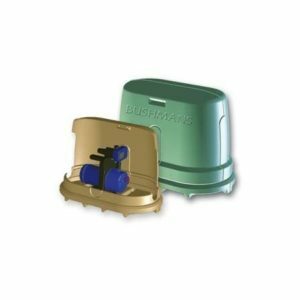 For more information on pumps call Bushmans on 1800 287 462.